If the job is a 'one off contract' then its probably not worth the hassle of setting up a limited company, registering for PAYE, VAT, completing corporation tax returns etc. You should choose an umbrella company. If you don't like paperwork and simply want to increase your take home pay, an umbrella company is the option for you. 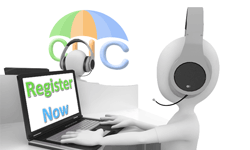 Why use Contractors Umbrella Company? There are hundreds of umbrella companies in the UK, why choose Contractors Umbrella Company? It's a good question. The high quality service we provide. Our intelligent online umbrella payroll system, which provides full tax compliance and optimism payments (you receive your pay very quickly). Our honest and open relationship with the people we work with. Our drive to become the best and biggest Umbrella Company in the UK. Our fair pricing... equivalent Insurances alone would cost more than our weekly fee, that's before the accounting, liaison with HMRC etc - See what's included in our umbrella company package below.